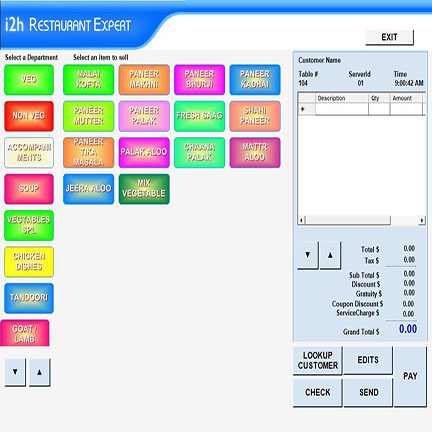 i2htech Restaurant Expert POS for restaurants, Dine in, Delivery and take out Restaurant Software. Software and All in ONE POS sales. 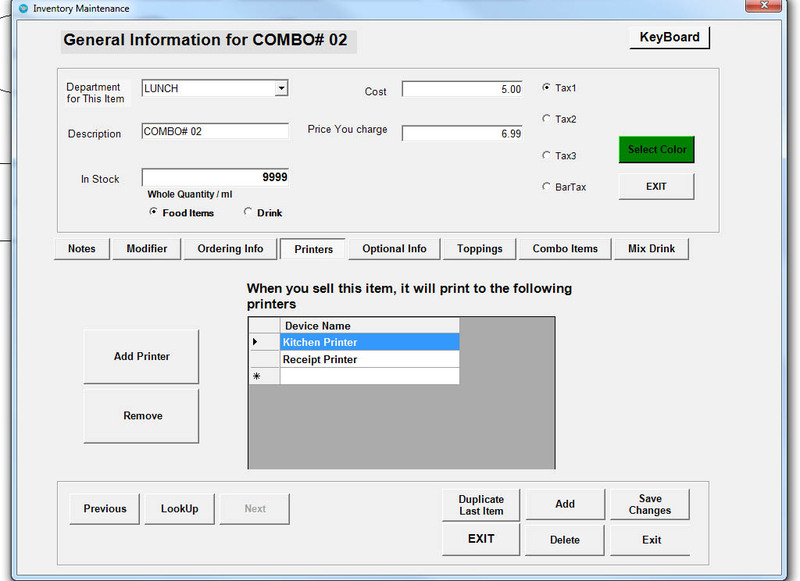 Easy to use Restaurant Point of sale Software. 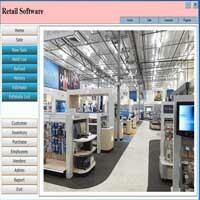 Low Price POS Software Sale ! . Instant download Link for Local US & International Location. Easy to use Dine in, Table service , Take out & Delivery Restaurant Software. Restaurant Point of sale Software is Easy to use and Learn. Simplicity in USE and Operation. To the POINT, Restaurant POS Software , Why Waste time and money for Complicated Software for Restaurant . 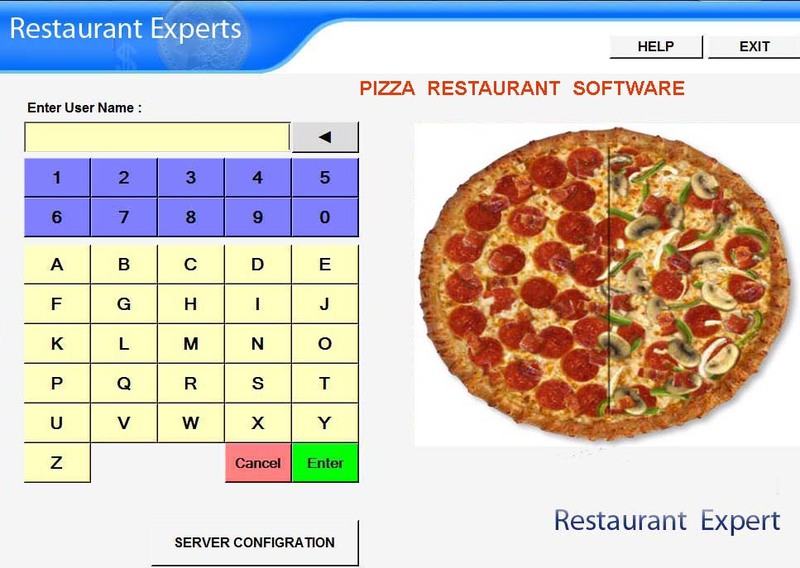 This is Quality Restaurant POS Software for Single PC or Server at Affordable Rate. Easy to setup on Network. Kitchen printing on Kitchen printer. Split billing : between two or more person . Create Pizza special features; Add different Topping to 1/2 pizza. Secure Login / Features: You can Login with User Name and Password, Unauthorized person can be Kept away from using your POS System. You can Add more Employee with User name and Password . R estaurant Order Placing screen	Above , from here you can starting entering Order and Print it in the KITCHEN . 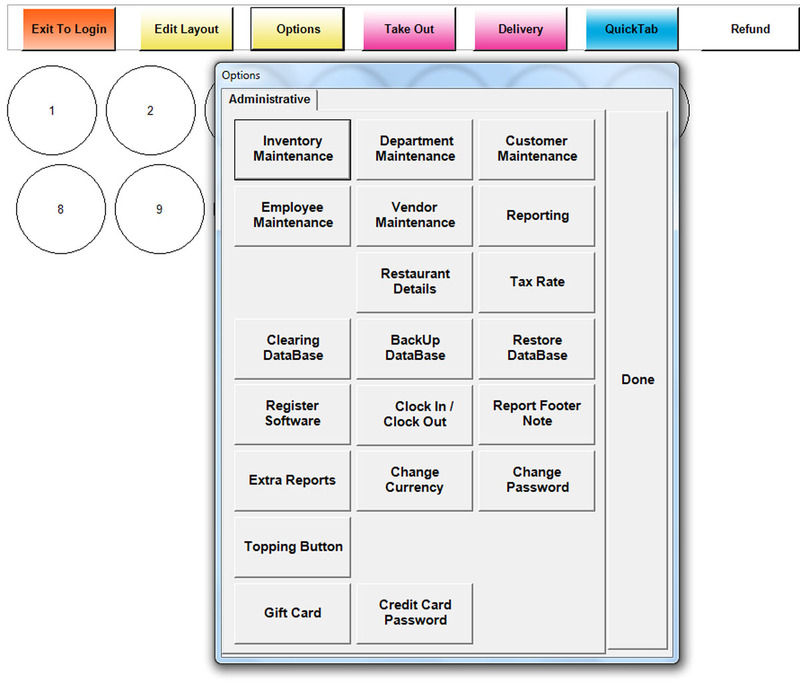 Left side is Departments and Middle section have Items in Each Department. you can TYPE in Items that is NOT on menu. You can Offer Two Type of DISCOUNTS, Line Discount for one Items or Discount on Total Bill. REFUND option , If for Some reason you have to Refund, A Customer , you can Easily do it. 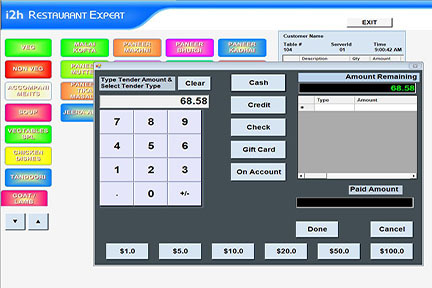 Restaurant Point of sale Software: Various Reports on Sale, Transaction, customer. menu Items and More.. DETAIL REPORT: See Total Sale , Cash , Credit , Debit , Refund given, Tax 1, Tax 2 Etc. . Full details at your Finger Tip at Any time . Any Date and time Range. Work comfortably with Transactions and Reports. All details are at your Finger tip. 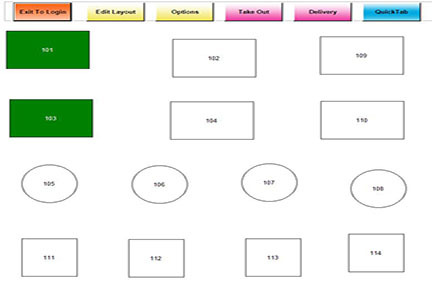 Table Layout ( Below ) : You can choose Round, Square or Rectangular Tables. Table Lay out . Easy Delivery and Take-Out Order Taking . Add new customer or use Existing Customer. Keep Track of Dine in order , Take-out and delivery order. 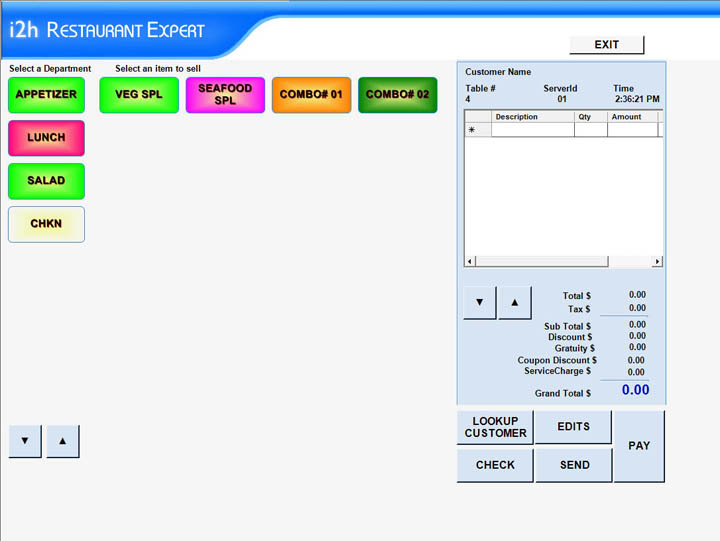 This is Quality Restaurant POS Software, can be use on Local Network. Contact us for More details . Take out and Delivery order. It is very easy to Take order For Takeout and Delivery . Separate Order Screen For Takeout and Delivery . Take out Only Name & Phone # Requires. 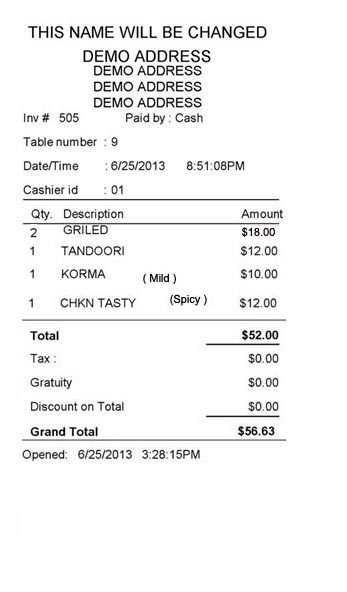 Receipt are Printed for Take out and Delivery. Print out Receipt on POS printer. (Below ) We recommend Epson , star TSP 100 or PBM POS Printer , Contact us for Low Rate Printers . We recommend Epson , Star TSP 100 Thermal Printer and PBM thermal printer for Restaurant POS Receipt. Reports are printed on POS printer and Regular printer , Sale Reports on POS / receipt Printer and other Reports on Regular Printer. DATABASE ADMINISTRATION : Clear / Delete Database , Back up & Restore Database. Step 2: Add Inventory (Menu Items). You can add Modifiers, Like Hot / Not Spicy / Medium etc, By Checking Modifier option. Enter Name , Cost = 0 , Selling Price =0, Quantity = 99999(Some Big # ).& Save. This can be Select with Items , when you add Items. Printer Setup: For Kitchen , Receipt , Bar Etc. Printer installed on Computer anywhere in the Network can be used. Easily Add Menu Items and Modifiers. All your Menu Department and Items can be added Easily. Add Modifier / topping . You can add all your Menus and Specials. All transactions are saved . 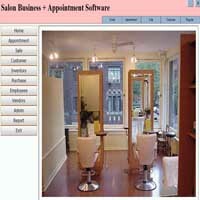 Save you menu items / Customer Database and Sale. Food will be prepared and Server to Table . When customer is ready to leave , You ll Print a check . A Final Bill will be Printed and This will complete order. TAKE OUT AND DELIVERY ARE PROCESSED SAME WAY. Windows : 7 / 10. FREQENTLY ASKED QUESTION. Q: What kind of OS Needed?. A: Window 7 or 10 Q:Will it work on MAC / Android. A: No Q: What kind Receipt will be Printed?. A: 3" Q:It is Networkable?. A: Yes. Q: Will it work in UK / Canada/ Africa?. A: Yes. Q: Can you sell on quick Tab?. A: Yes Q: Can you use Touch screen POS?. A: Yes. Q: Can you provide Download link? A: Yes. Q: Can you add Modifier and Toppings? A: Yes. Q: Can you Split Bill? A: Yes. Q: Does this software have Delivery Option?. A: Yes. Q: Does this software have Take out /Delivery Option? A: Yes. Q: Can you create Combo Items Special? A: Yes. 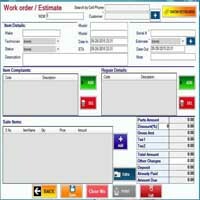 Q: Do you sell Complete POS System with software.? A: Yes. We offer Point of sale Software for Restaurant , Retail ,salon and Repair store based upon Real World POS Experience for 20+ years. We understand your need for POS Software & System.